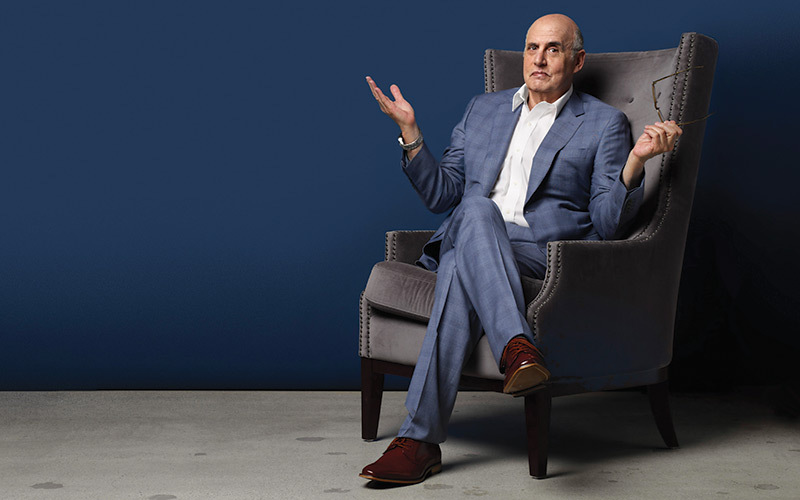 Now, at 72, Tambor is more than a somebody: He’s one of TV ’s most versatile and respected character actors, with a trifecta of defining roles on The Larry Sanders Show, Arrested Development, and currently as materfamilias Maura Pfefferman on Transparent. But when it came time to choose a title for his new memoir, Are You Anybody? felt right. “It was a good entrance point—a door to open and see where we went,” he says (the book hit shelves May 16). 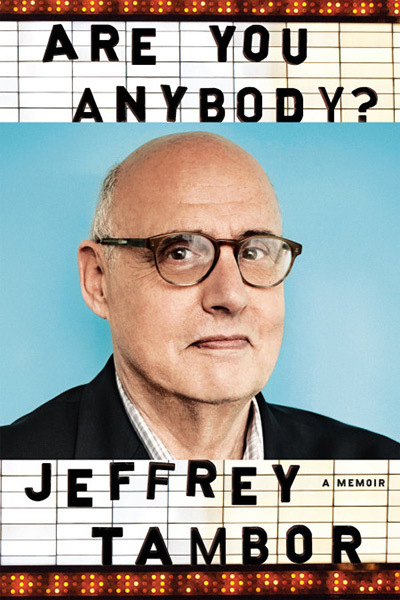 Within its pages Tambor dissects everything from childhood traumas to career milestones to life with his five kids, often with heartbreaking candor and subtle wit—unsurprising for someone who’s a co-owner of Los Feliz’s Skylight Books (“yet I’m on my 12th Kindle,” he jokes). Before you catch him discussing his first foray into nonfiction at Skylight on May 24, see what he has to say about impostor matzo and his dream side gig. Three imaginary sections you’d put in Skylight Books? Art’s Deli or Katz’s Deli? OK. Oookay. Now we got a thing. Here’s my Sean Spicer spin: When I’m in Los Angeles, I’ll eat at Art’s. When I’m in New York, I’ll eat at Katz’s. Autographs no one would want? In the book, you say you only know one joke. Funny Angeleno, dead or alive, you’d want to learn another from? Garry Shandling. Hero. I remember watching It’s Garry Shandling’s Show and thinking, whatever he’s doing I want to do. Because that’s what comedy looks like. You love The Great British Baking Show. If L.A. were a baked good, what would it be? It would be in the unleavened category. I’m going pita, tortilla, matzo. By the way, I was at Gelson’s the other day. Do you know how many types of matzo there are? Did you know there is—wait for it—spelt matzo? You can’t have spelt matzo! You can’t have gluten free matzo! There’s a bran matzo, and I don’t even want to go there. We had egg matzo, and egg matzo was sort of outré—it was like, oooh, egg matzo, but now there’s bran matzo. My gastroenterologist, on his prescription pad, it said “bran matzo.” Can you imagine such a thing? Former character you’d ask to write the foreword to your book? Character from literature you’d want to be stuck on the 405 with? Sam Weller from The Pickwick Papers. I would actually have my car filled: Kurt Vonnegut in the front, George Saunders in the back right, Michael Connelly in the center, and Sam Weller in the back left. What a car. Three unconventional items you need to survive pilot season in Los Angeles? A coffee cup that says “Let It Go,” a copy of Cheryl Strayed’s Dear Sugar, because she makes you laugh and cry, and a picture on the first page of your script of the person you’re in love with to give you courage. I have a “Let It Go” coffee cup. I can’t find it, by the way. I’ll tell you where my life is right now: The other day I was eating a pear in the house, and the phone rang. I put the pear down. We have yet to find the pear. It’s a true story. I cannot find the pear. People ask about my life. They say, “What’s it like right now?” and I tell them I put a pear down. I cannot find the pear. I think that’s the second book: Where’s the Pear? Most unconventional bucket list item? L.A.’s street corner fruit stands or Arrested Development ’s frozen banana stand? The banana stand. On more than one occasion, when I travel from hotel to hotel, the chef has sent up frozen bananas. You know what doesn’t melt? Frozen bananas. Previous articleDoes L.A. Have Its Own Signature Pizza Style?